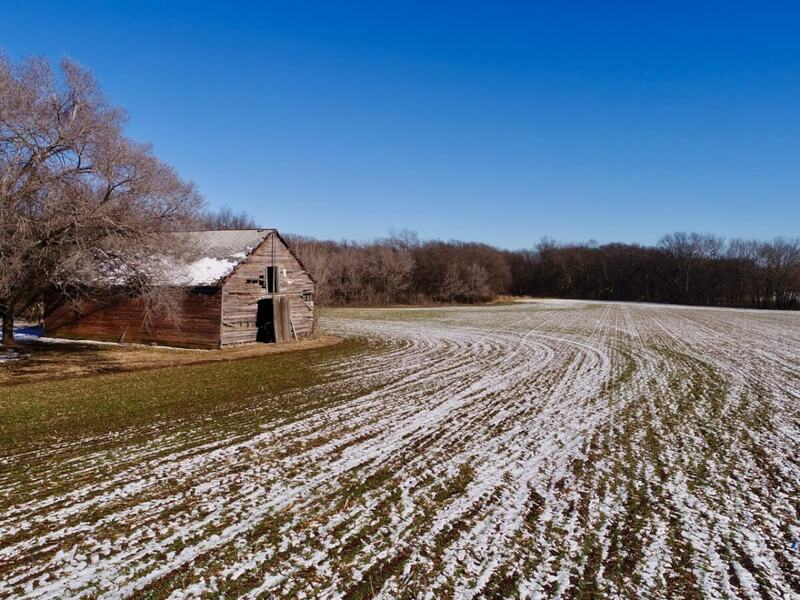 PROPERTY DESCRIPTION: 140+- acres south of El Dorado in Butler County Kansas with a combination of high quality tillable farm ground, Sutton Creek, timber, and improvements. The 110+- acres of tillable is currently planted to Wheat. Rarely will you find the opportunity to purchase such a high quality property with this premium location. Access is provided by blacktop on the East, North, and a portion of the West. Take a look at this property for an opportunity to Invest in the Best…Invest in Land! IMPROVEMENTS: The 2 story home built in 1915 has 1598 square feet of living area, 5 bedrooms, and 1 bathroom. Additional improvements include a detached garage and two barns. There is some beautiful vintage barn wood and barn doors with original hardware. Great opportunity for an owner occupant or investor income. LEGAL DESCRIPTION: Lots 3 and 4 and the South Half of the Northeast Quarter of Section 28, Township 26 South, Range 5 East of the 6th PM, Butler County, Kansas. POSSESSION: Possession of the property will be at closing subject to the 2019 Wheat harvest. The Buyer will receive the landowner share of the 2019 Wheat crop and be responsible for payment or reimbursement for the landowners share of the 2019 Wheat crop expenses. LAND LOCATION: From Central Ave. in El Dorado Kansas 3 1/2 Miles South on Haverhill Rd. The property is at the Southwest corner of Haverhill Rd and 40th. 2018 REAL ESTATE TAXES: $3134.92. TERMS: Earnest money is $50,000 down at the conclusion of the Auction with the balance due upon Sellers submission of merchantable title and closing. Closing date shall be on or before April 1, 2019. Closing fee and title Insurance fee will be split 50/50 between Seller and Buyer. Selling subject to easements, restrictions, roadways and rights of way. This property is not selling subject to financing or inspections. Interested buyers need to view the property prior to the date of the auction and have financing available and any inspections performed prior to bidding. All pertinent information is available upon request. All announcements made the day of the auction take precedence over any other announcements or printed material.